Michael and Heather Wigle are hosting a "Zume" course. 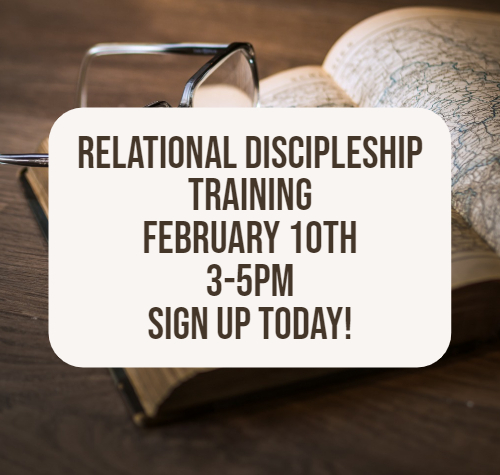 This is the extended version of the relational discipleship training we provided in November, with online guidance from Zume. This Zume group will help you grow as a disciple, a discipler, and perhaps a Life Group leader. They will meet Sundays from 3-5 pm beginning February 10 at the Wigle's home. They have room for up to ten participants. Contact them for questions. Enrollment begins Sunday, January 27 in the back of the worship center.